“It will be a truly integrated city attracting all types of people and nationalities that will have something to interest each one of them. The city will create a huge influx of tourists,” says Ch’ng. Through much of this year, Malaysia Pacific Corp Bhd chief executive Datuk Bill Ch’ng’s business compass has been focused on the iconic Asia Pacific Trade & Expo City (APTEC) – the centre-piece of the company’s project in Iskandar Development. 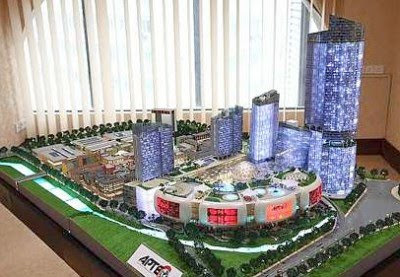 Ch’ng wants to turn the RM1.6bil APTEC into Asia’s biggest trade and distribution hub with hotels, service apartments, office towers, retail malls, international entertainment city, factory outlets, Malaysia cultural heritage village, and other tourist attractions. APTEC’s other unique component is LakeHill Resort City, a mixed-zone development comprising residential, commercial and tourism attractions. This is located at Iskandar’s Eastgate Development Zone. Once completed, both developments will have a combined gross developmental value of RM6.6bil. “All the 22 parcels of land in the LakeHill Resort City, totalling 638 acres, are unencumbered. The 2008 valuation of the land is at RM450mil, but this will increase once the development starts,” says Ch’ng in an interview with StarBizWeek. Some of the parcels of land, he points out, have been earmarked for joint venture (JV) purposes. “Cash from these JVs will provide immediate profits to pay future dividends and cash for funding,” he says. Interestingly, MP Corp is the only non government-linked company currently involved in the development of the massive Iskandar Regional Development Authority (IRDA). The masterplan has already been approved and MP Corp has started on infrastructures and civil works and is seeking approval for each of the 22 parcels within the development. MP Corp’s sole partner in the IDR projects – APTEC and LakeHill – is AmanahRaya Development Sdn Bhd, a subsidiary of AmanahRaya Bhd. AmanahRaya, wholly owned by the Minister of Finance Inc, has a 22% interest in the joint venture. Ch’ng, 70, was the original architect who master-minded the proposed Genting Highland Casino Hill Resort between 1965 and 1972 which encompassed a ‘casino’ as an economic icon of the period to attract tourism and foreign exchange earnings. He was also named one of the “50 Asia’s Top Corporate Takeover and Turnaround CEOs” by Business Weekly International magazine in 1989, for turning around the Emporium Group Singapore from bankruptcy and also Bousted-Co Singapore and Bousted PLC, United Kingdom from the doldrums. He was appointed by tycoon Tan Sri Quek Leng Chan as an advisor and subsequently chief executive officer of MP Corp in 2005. In December 2006, Ch’ng acquired a controlling stake of 60% in MP Corp through his Hong Kong-based private vehicle Top Lander Offshore Inc.
Ch’ng recalls that when he first took over the reins of the company “it was like taking over a sick baby”. Back then, MP Corp was developing low to medium cost houses in the area, now earmarked for the Iskandar development, which he put an immediate halt to. In place, he drew up a new masterplan which got the nod last year. His mission now is to woo strategic investors – local and foreign – into the project. By year end, MP Corp will launch its residential properties. “Our office in Hong Kong is also coordinating and marketing APTEC and LakeHill in Hong Kong and China,” he enthuses. Ch’ng sees huge potential in Iskandar-Singapore, as he sees strong similarities to Shenzen and Hong Kong economic success story. “Iskandar-Singapore’s combined logistic, strategic and natural geographical advantage will be the epicentre of the Asia Pacific, Indian Continent and Middle East’s huge consumer market population,” he says. Originally, the plan was to complete the whole development in 12-15 years but Ch’ng wants to fast track it to within 8 years. “I want to build it all at one go. You cannot do it on a piecemeal basis. That always fails. You need something very unique and an icon to attract foreigners to come in. And APTEC will spur the imagination of foreign direct investments,” he says. Ch’ng is now targeting Chinese exhibitors to take up 50% of its wholesale permanent exhibition centre comprising of 2.25 million nett exhibition space. Meanwhile, initial construction will be financed by bank borrowings. MP Corp is currently in discussions with some financial institutions to raise a term loan to undertake the project. MP Corp is also seeking a tax-incentive status similar to the ones obtained by Medini and Puteri Harbour in Nusajaya. In the fourth quarter to June 2009, revenue grew 16% to RM2.73mil year-on-year; the company made a loss of RM915,000 from a profit of RM8.56mil in the previous year’s corresponding quarter. For the full year, it made a net profit of RM54mil from RM57mil previously. As at June, the company’s net asset value per share is RM1.55. The counter finished trading on Friday at 54.5 sen.
Two weeks ago, MP Corp proposed a two-renounceable-call rights issue of up to 129.448 million shares together with 129.448 million free detachable warrants. The rights issue is at RM1 per share; the first call of 42 sen will be fully payable in cash by shareholders while the second call of 58 sen will be capitalised from the retained profits account. The proposed rights issue is expected to raise gross proceeds of up to about RM54.37mil, of which RM30mil will be used to retire advances from Top Lander. The proposed three-for-four rights issue is being undertaken on a minimum subscription basis to enable the company to raise funds without incurring interest costs. MP Corp had determined a minimum subscription of 76.827 million rights shares and the company will obtain a letter of undertaking from its substantial shareholder, Top Lander Offshore Inc, to subscribe for all the rights shares. The proposed rights issue is expected to be completed by the first quarter of 2010. Those looking to buy a condominium or service apartment around Petaling Jaya maybe hard pressed in the next several months ... or maybe not. Its managing director Teh Lip Kim says the two blocks will have a total of 192 units with built-up of 2,000 sq ft in Block E (36-storey high) and 2,900 sq ft in Block D (25-storey). The loft unit in The Tropics. Malaysia’s aspiration to join the ranks of high income economies should bring cheer to Malaysians as it means they can look forward to higher income and enjoy a higher standard of living. Hopefully with the new economic model to raise the people’s income level, their higher consumption ability will be able to drive domestic consumption for a broad variety of products and services, and strengthen the economy further. For the rural and urban poor, more proactive measures to help them own a home will be a good start. Despite the many housing packages offered by developers to promote sales and home ownership during the past year, the poor are still unable to fork out the minimum 5% or 10% downpayment for a property. These people depend on affordable public housing projects. With growing urbanisation in many parts of Malaysia, there is a need to ensure that higher quality and better equipped public housing projects are built for the poor. Although there are many low-cost and affordable housing projects, most of them have failed to provide an improved quality of life to the lower income population. This is because these no-frills projects have not been properly maintained and managed. Perhaps we can emulate China and Hong Kong, which have initiated government-driven public housing projects to house their urban poor and displaced people. As prices of properties have appreciated sharply in many first and second tier cities in China, local councils and private developers in Nanjing came together to address the issues of good property management and quality living for displaced villagers and squatters. Each project is targeted for 5,000 homes in multi-storey blocks with each 5,000 home development equipped with a 24 classroom primary school and a 12 classroom kindergarten. There is also a service centre, a community day-care medical centre, a supermarket and some retail single-storey shop lots. The utilities include an organic solid waste bio chemical disposal station, sewage recycling and waste water recycling system, solar energy heating system for all homes and centres, and photo voltaic cells for street lighting. The entire concept was not only to solve the problem of providing affordable housing but to address the issue of post development property management. The proposal was to fund the entire support system of the project with capital expenditure up front to reduce the long term management and maintenance cost. Local councils previously were unhappy to manage designated low cost housing due to problems in collection of service charges and the resulting lack of services. The urban planning model is based on self management by the residents. The project does not allow vehicular traffic within the urban landscape but allows for courtyard style neighbourhoods with pedestrian and bicycle traffic only. The project cost 2,232 yuan per sq metre based on the net residential area. The fund for the project was subsidised by the state government, a loan from the bank and part construction subsidy from the private contractor. Last November, the Nanjing project was awarded the United Nations Special Contribution Award for Sustainable Urban Development by the United Nations. It will be good for local industry players and governing authorities to emulate similar high quality standards to liven up our public housing projects. Deputy news editor Angie Ng believes that thinking out of the box and being proactive will be the saving grace for many old existing problems in the world today. For the time being, floating home loans will be more popular than fixed rate packages. Lim Eng Seong says each option has its benefits. Citibank declined comment while Maybank did not return email. Would you own 3 to 4 properties in your lifetime? 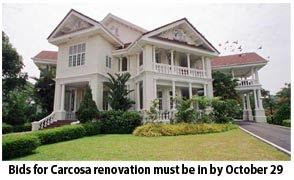 There was a recent Singapore news report about steps taken by the government to “cool” down the real estate market. There was concern that speculative fever might be heightened, especially when forecasts seem to indicate a more challenging and subdued economic environment. How can the Singapore property market run up so significantly on the back of the worst global financial crisis in history? Some attribute this to the liquidity available in the banking system, while others are quick to point to a low interest rate environment. It was also highlighted that many buyers were home upgraders who are cash-rich, and of course, some were speculators hoping to make a quick profit within a year or two. There are certainly many types of players in the real estate market, and it is not easy to fully comprehend the dynamics. In a recent discussion that I had with some colleagues, an interesting trend surfaced – a person is likely to own about three to four properties in his or her life time! Mapping that to one’s life stages, it is easy to identify the four possible stages. Such life stages are similar to those used for investment planning as well. The first stage is what I call the “carefree” period of one’s life. It describes a person who is fresh out of college and has probably worked for a few years. He or she would have little wealth, few assets or little liability, and generally a higher risk tolerance. In the property dimension, this would be the first step towards independence, when one thinks of moving out of the family home or relocating for work. Many may start by renting a place, but in time, one might consider owning a small apartment, especially when the rental can somewhat offset part of the mortgage obligations. Typically, this person is in his or her 20s. The second stage is what I call the “family” stage of life. In the 30s and perhaps no longer single, one would be looking forward to settling down. Not only is one more financially able now (assuming a few years of disciplined saving and investing and having paid the first mortgage), the family unit is also likely to benefit from double income. With that decision to get married and in time start a family, the considerations are now very different. This would lead to property upgrades. The home that served them well in their singlehood will no longer be suitable. 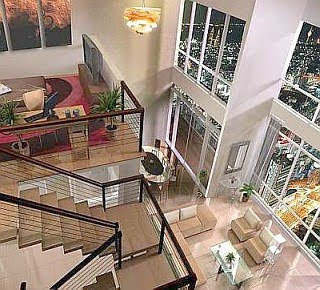 So one would typically plan for a bigger place like a landed property or a bigger apartment with more rooms. Just like investing, having built up some wealth and assets, this is the point where one can enlarge one’s investment portfolio while still taking high risks. The third stage is what I call the “established” stage. Typically, it describes people in their 40s to early 50s who are established in their career. They may have a few school-going children. Generally, this group would have built up a substantial wealth portfolio and a reasonably comprehensive insurance coverage. From an investing perspective, this group is likely to be more balanced. They are likely to be unwilling to take too many risks, but at the same time not too conservative as to keep everything in cash or low-risk products. At this stage, a couple of scenarios are possible. One possibility is an upgrade from the matrimonial home to a bigger house in a better district, perhaps a semi-detached, a detached house, or an even larger apartment. Another possibility is that one becomes “sort of” a real estate investor. Those with the means can end up buying residential properties or shoplots for investment, with the objective of renting out for additional income. Naturally, the sky is the limit, and people in this stage of life can own multiple properties or stay in one of them. The fourth stage is what I call “Looking Forward to Retirement” and “Retirement” stage. As one approaches retirement or is retired, perspectives can change very significantly. His or her children may likely have completed their university education or have already started working. They may also have moved out of the home bought in one’s third stage of life. A significant retirement nest egg would have been established and liabilities are generally lower as mortgages are almost fully paid off, or the children do not need as much financial support. One also tends to take a more conservative approach to investing and taking risks. Planning ahead can take on varied routes. One option is to stay on in the large house and enjoy the golden years; although its residents are probably only the old couple lamenting the quietness of the house, a maid and maybe a pet dog or cat. The other is to move into a smaller home with more convenient amenities. I realise that some retired couples are choosing the latter option as living in a smaller condominium allows them to enjoy the facilities and relative safety and security. Invariably, they may hold on to investment properties where rental can be used for retirement cashflows or passed on as inheritance. We all go through these four stages of life as reflected in the trend in property demand. While most of us do not build up sufficient wealth to be multiple properties owners concurrently, it is not difficult to appreciate and understand why we are likely to own between three to four properties during the course of our lives. I believe that property ownership is an integral part of our lives and culture. And when it comes to personal finance, property ownership is a key element that I would like to focus on in the weeks to come. Perhaps some learned readers can also share their views with me, as I believe there are many qualified property experts out there. The government has called for bids to upgrade Carcosa Seri Negara, a 97-year old boutique, city hotel and heritage building that was once home to Frank Swettenham, the highest ranked British representative to the Malay States. It will be closed for renovation from January 1 2010. However, the property would will keep its name. Bids must be in by October 29 this year. "We are inviting fresh ideas (for the property)," Nurulhakeem Hasim, the principal assistant secretary from the Property and Land Management Division of the Prime Minister's Department said in a briefing on Thursday. The Request For Proposal (RFP) document highlighted that the proposer must bear all upgrading costs and pay a monthly rental. The developer/operator must also propose a profit sharing deal with the government. The government wants bids from candidates with strong financial standing, wide experience and recognition in hotel and resort management and one with a chain of hotels/resorts in Malaysia and abroad. Some 17 people attended the briefing, including representatives from Swiss Garden, Impiana Group, Johor Corp, Peremba, Landmarks Bhd and MITC Ancasa Hotel Melaka. Those present told the Business Times that they were surprised that advertisements only appeared in the Malay dailies last week. They also lamented on the short time frame to prepare the proposal. Moreover, no financial details were given as to the past performance nor rental for the lease. According to Nurulhakeem, renovations will be done in two phases. The first phase involves upgrading and developing the existing product while the second phase will be managing and operating the hotel. The hotel, work on it that started in 1904, was completed in 1912. It is essentially divided into two, the seven-suite Carcosa and the six-suite Seri Negara. The two blocks sit on a 1.62ha site near Taman Tasik Perdana. The Carcosa was originally the private residence of Frank Swettenham, the highest ranked British representative to the Malay States, while the Seri Negara was for his guests. This designated heritage site is owned by the Government and was taken on a 20-year lease by Landmarks Bhd in 1989. This lease ends on December 31, 2009. Landmarks operated the premises until five years ago, when General Hotel Management Group was brought in, in 2004, as a guardian for the heritage site. Meanwhile, the period for which the hotel will be closed, will depend on the extent of work that was proposed. The developer must propose the duration of the lease based on the return on investment anticipated after the upgrade. An interested party said that since all the investment will come from the private sector, unlike previously when the government paid for all the renovation and refurbishment, the investment amount has to be practical. Nurulhakeem indicated that certain terms on government's usage of the facility may be incorporated. It is however unclear, if the some 365 years of free nights available to the government will continue under the new contract. BANGKOK: Malaysian contractors, who secured 155 projects overseas worth US$15.57 billion (RM53.5 billion) in the past three years, have won another 16 projects valued at US$1.06 billion (RM3.6 billion) so far this year. Master Builders Association of Malaysia (MBAM) secretary-general Yap Yoke Keong said the Construction Industry Development Board of Malaysia (CIDB) records showed that 2006 was the best year, with 59 projects worth US$8.17 billion (RM27.7 billion). Last year, Malaysian firms receiv-ed 40 projects with a total value of US$2.43 billion (RM8.24 billion), he said. Yap said as at the second quarter of 2009, Malaysian contractors had completed 467 overseas projects worth US$8.5 billion (RM28.82 billion) while 131 projects valued at US$18 billion (RM61.02 billion) were currently being implemented. "However, all these ventures involved only 103 contractors, which is indeed small compared to the total of about 65,000 registered contractors in the country," he said when presenting Malaysia's country report at the 29th Asean Contractors Federation Council meeting here yesterday. Almost half of the overseas contracts won by Malaysian firms since 1997 were based in the Middle East, Yap said, adding that Saudi Arabia provided the largest share with RM20.73 billion, followed by India with RM14.1 billion and the UAE with RM10.5 billion. In Malaysia, construction recorded a positive 2.8 per cent growth in the second quarter this year, largely due to the higher take-off of projects related to the stimulus packages, in particular construction on non-residential buildings such as schools, colleges and hospitals, Yap said. He said under the government's two stimulus packages worth RM67 billion, a total of 83,939 projects had been awarded. While there were some positive effects from the stimulus packages, MBAM felt that these may not be adequate to enable the economy to ride out from the recession on a much stronger footing. Yap said the association has called on the government to speedily release the balance of projects budgeted under the Ninth Malaysia Plan to ensure sustainability and growth of the construction industry and to meet the industry's projected gross domestic growth growth of 3 per cent this year.